Muslims for Human Rights has accused Mombasa county government of spending Sh1.3 million to make Governor Hassan Joho’s photo album for a birthday gift. 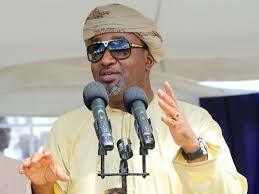 The county communications department contracted Adam Photobooks in 2018 to create a photo album to illustrate the achievements of Joho since he was elected in 2013. According to a letter dated March 25, Muhuri states that the contract was singlesourced by county director of communication Richard Chacha and his deputy Ahmed Mudathir. Adams Photobooks whose directors are sisters Khuwaida Hamid and Aisha Mohammed who are caught up in the mix. Initially, a firm, Khuwaida, was to undertake the job at Sh650,000. However, they settled at Sh313,000 after negotiations. Khuwaida submitted to Chacha and Mudathir bank details for payment to be made. But it emerged, a different company that was paid Sh1.3 million. After shortchanging Khuwaida, next was Adam Photobooks. Chacha and Mudathir dropped Adam Photobooks and awarded the contract to another company whose name is still unknown at a price of Sh1.3 million which is almost four times the price quoted by Adam Photobooks that is also said to have links with Khuwaida.